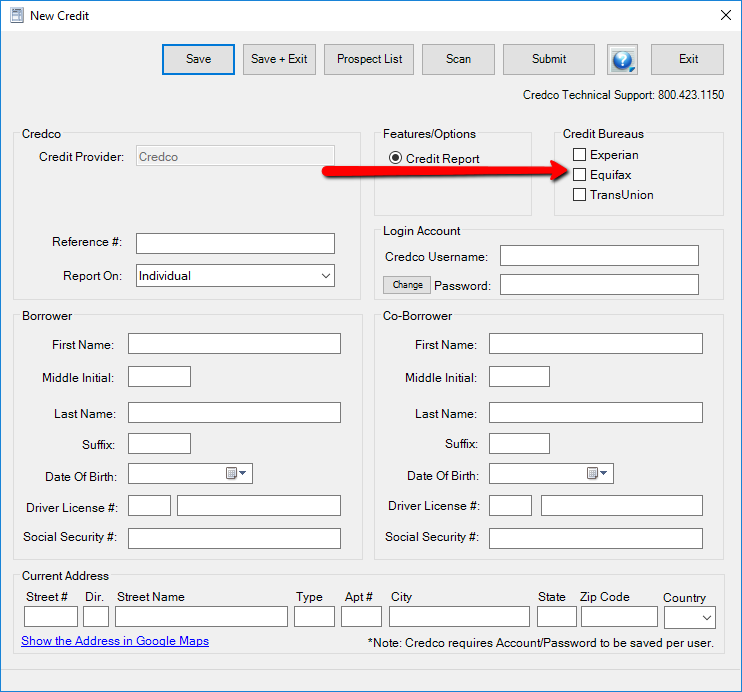 In DeskManager, Credit reports can be submitted directly to Credco. 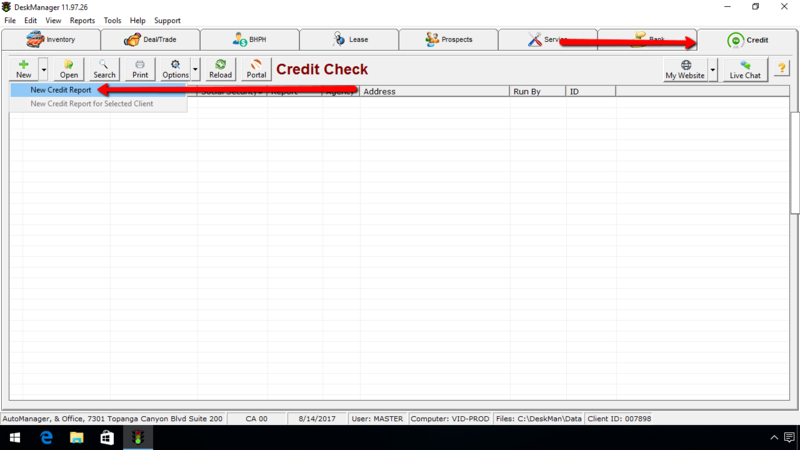 With DeskManager running, click on the Credit tab (the second tab from the right), then click on the New button and select the New Credit Report option. 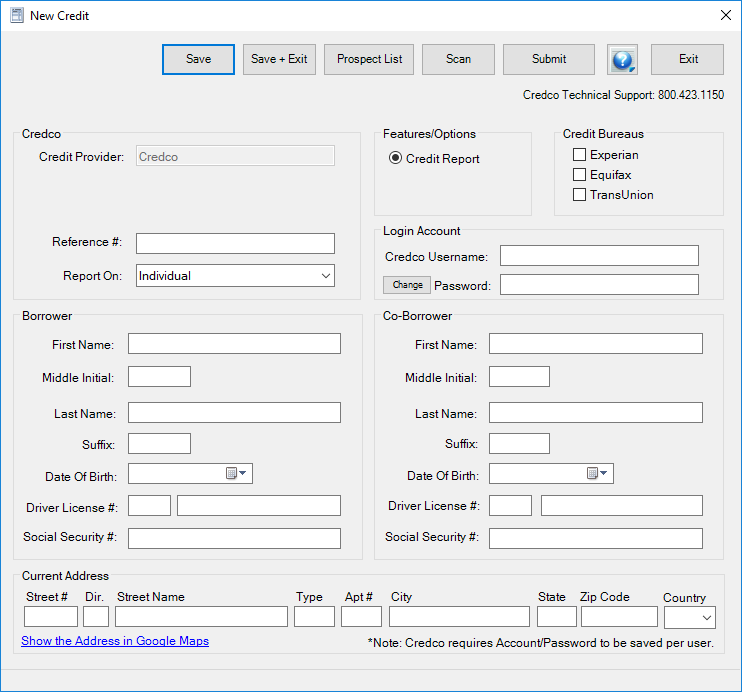 A new window will pop-up requesting you to Select a Credit Provider. 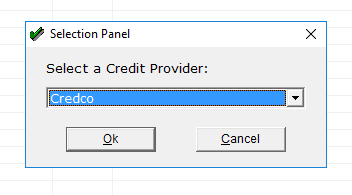 Click on the down arrow, select Credco from the menu and then click OK. The New Credit window will open. The different ID numbers, account numbers and passwords as provided by Credco only need to be entered and saved into the system once. The program will remember them and populate those fields for you after that. 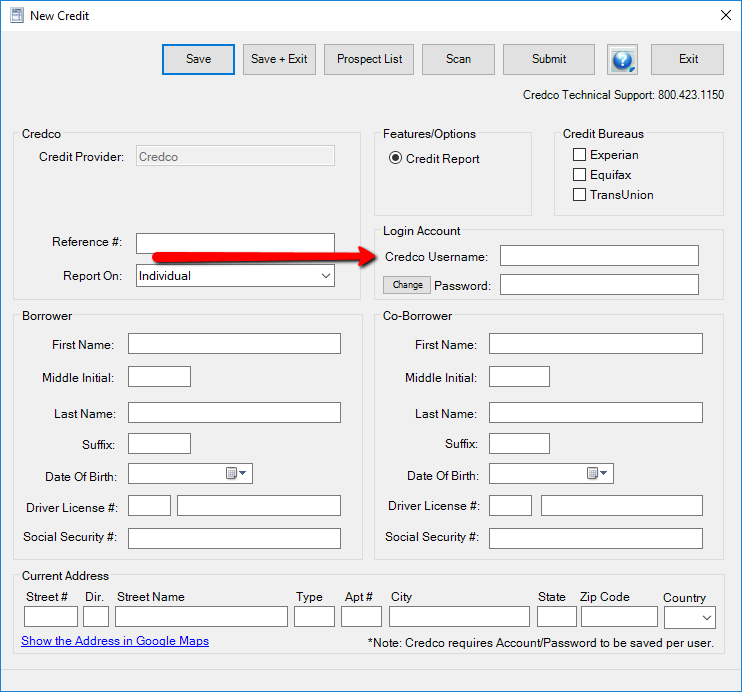 There are three items that need to be filled out the first time this tool is used, then the program will remember this information for future credit reports. To the right of the window, enter the Credco Username and Password (inside the Login Account box). Check the mark for the appropriate Credit provider being used. Click the Save button at the top of the page to store the information into the system. You may exit or fill out the rest of the necessary information to submit a credit report.